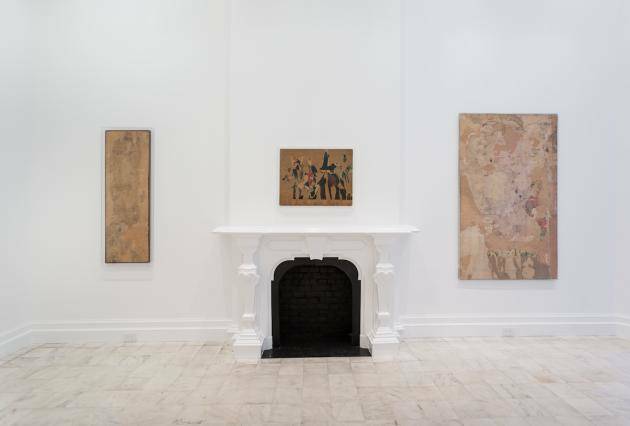 Gladstone Gallery is helding an exhibition of historical works realized by Italian artist Mimmo Rotella from 1953 to 1962. 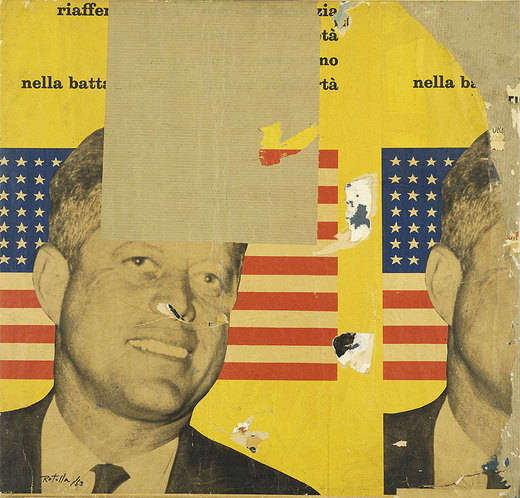 Representing a sea change in the artist’s practice, the compositions on view are some of the first examples of Rotella’s pioneering décollage and retro d’affiche techniques, methods that would become integral to Rotella’s artistic pursuit of continually engaging with mass media’s own promotional materials. 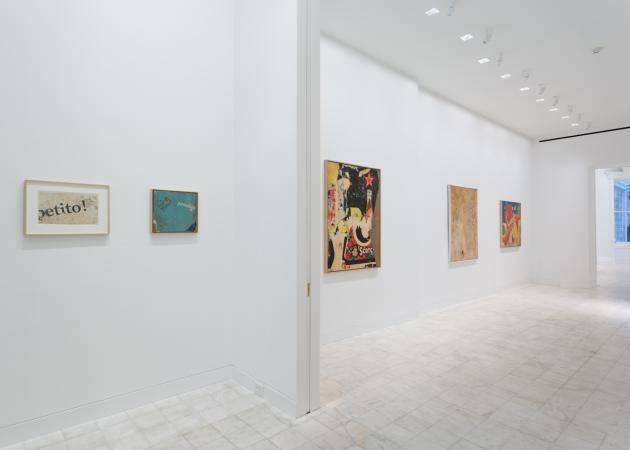 Following his return to Rome from a residency at Kansas City University in 1952, Rotella consciously abandoned abstract painting as his primary form of expression. 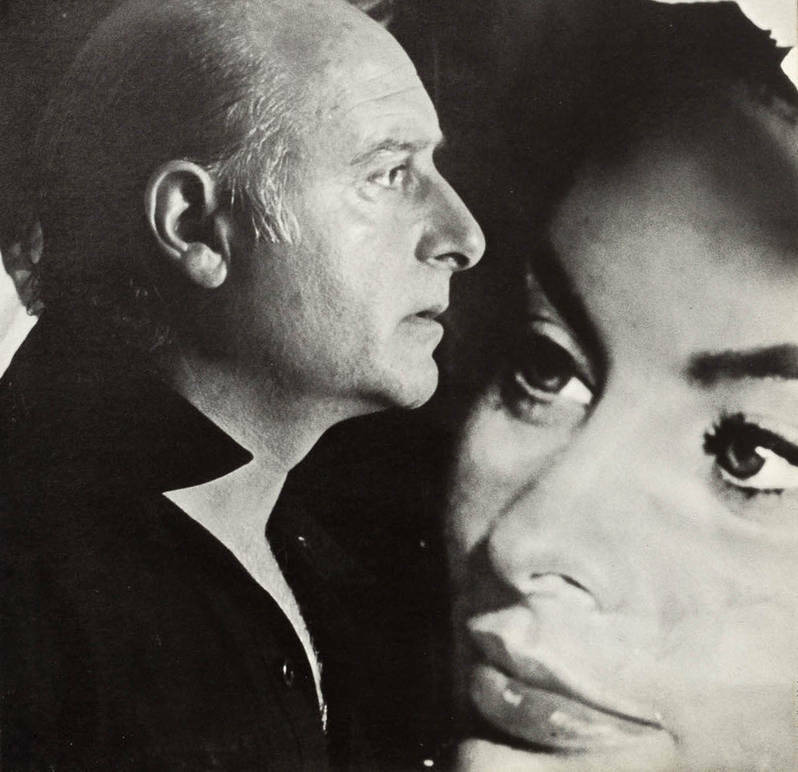 Stirred by the presence of movie and advertising posters around the city – and inspired by a cadre of other artists in the Italian capital at this time, such as Alberto Burri, Robert Rauschenberg, Salvatore Scarpitta, and Cy Twombly – Rotella began to rip banners and placards from walls and utilize them as the source material for his now-notorious assemblages. 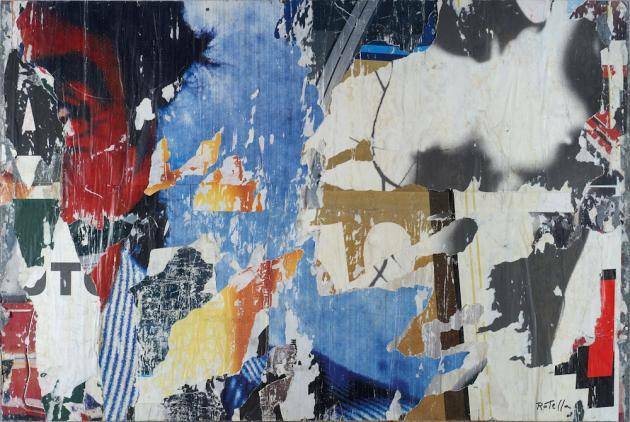 These works take two distinct forms: in the décollages, Rotella piled and glued advertisements face-up before tearing away and incising individual layers, thereby creating intentional and accidental expressionist juxtapositions of bold words, pop cultural images, and various hues. 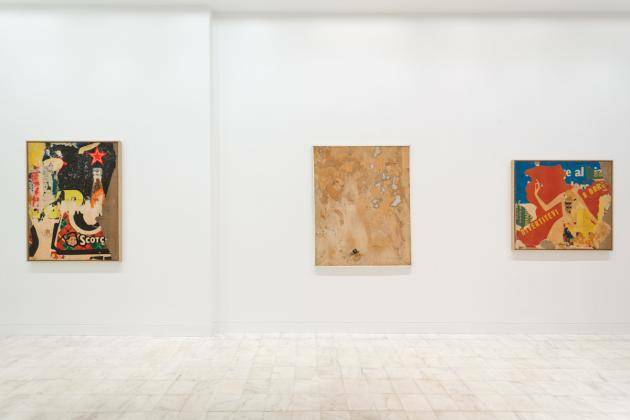 By contrast, the artist’s retro d’affiches, using only the posters’ often-untouched versos, showcase a concern with materiality à la Art Informel, as evidenced by the visible traces of glue, rust, plaster, and dust present in these compositions.